Also once again, thanks to my husband for #1 and #2. 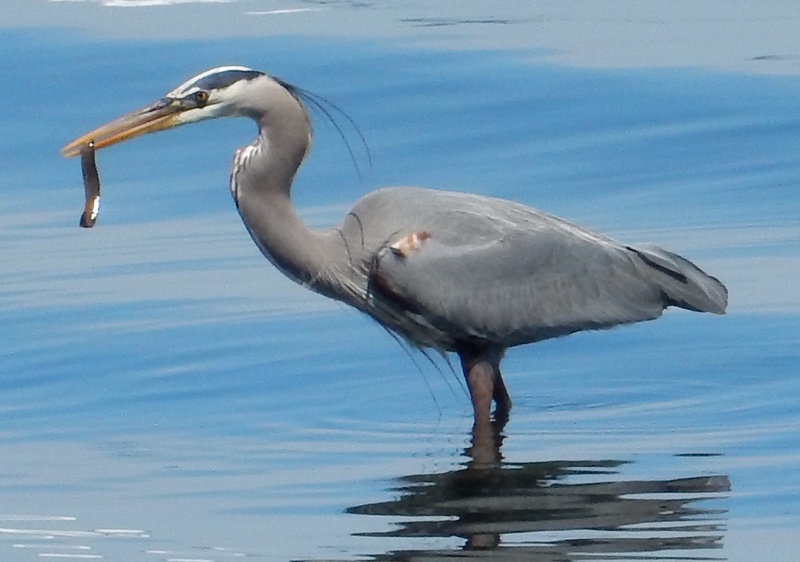 My husband came upon this great blue heron just as he (the heron, not my husband) found his lunch. I love these large, magnificent birds, even when they’re not flying. 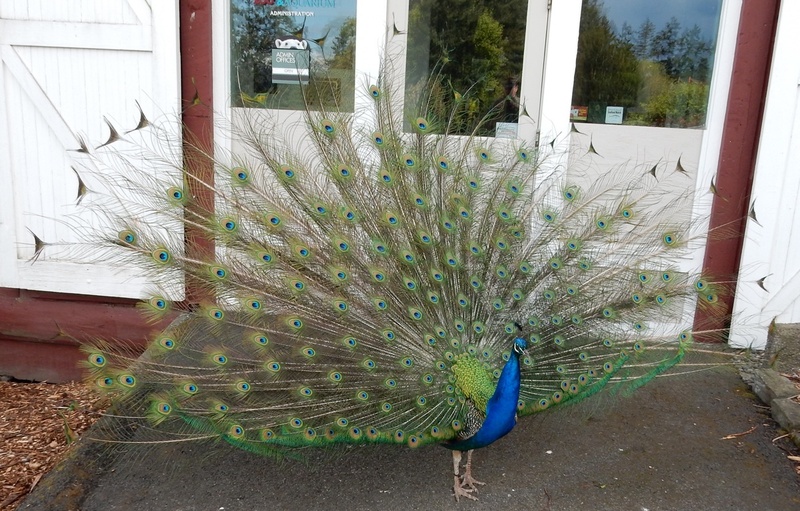 This proud guy was in full strut one afternoon when my husband dropped in at Point Defiance Zoo & Aquarium. His feathers appear rather thin and wispy. Is he sick? Or will his feathers fill out more as mating season advances? 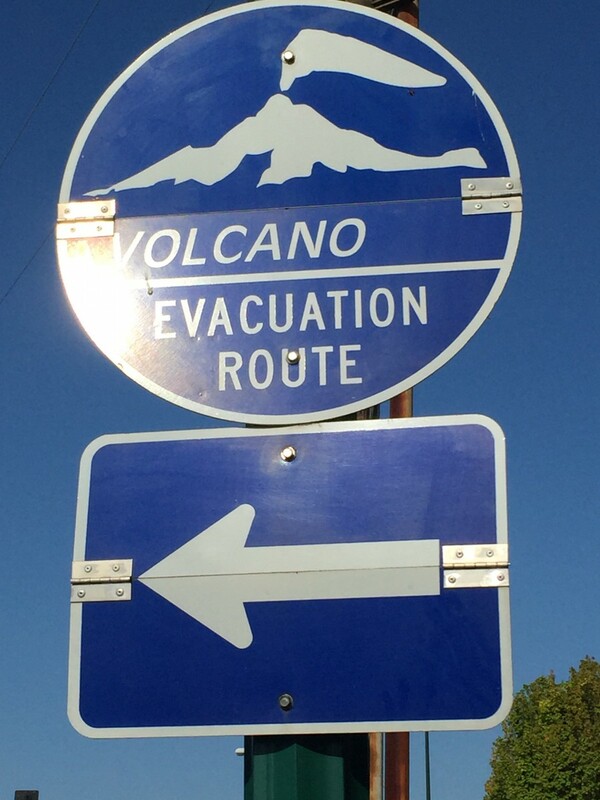 We moved from St. Louis, MO—land of tornadoes, flash floods, and even the occasional earthquake—to Tacoma, WA—land of rain, the occasional earthquake, and the possibility of a volcanic eruption. Mysterious and majestic Mount Rainier, which I love so much and which you’ll see photographs of all over this blog (just look at the sidebar on the left), is an active volcano that, sooner or later, will blow its top. I’ll have more to say about this in the next week or so. In the meantime, I choose to view this sign with some amusement rather than fear. But if the worst-case scenario comes to pass in the next 20–30 years, I’ll be very glad to have these directive signs about.